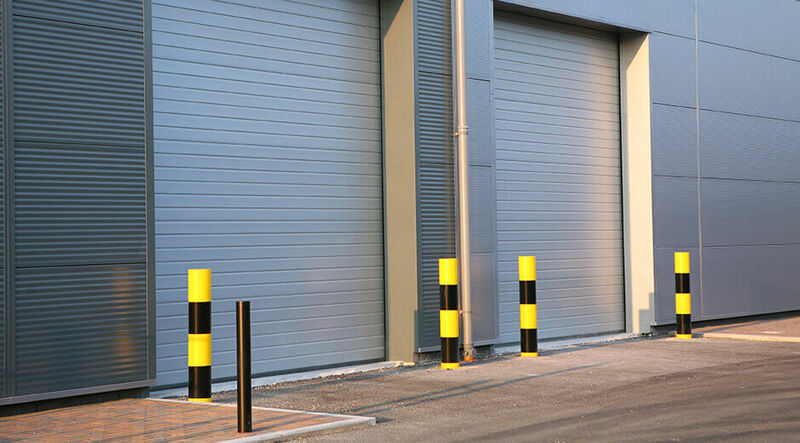 Our commercial security bollards act as great way to protect you premises from unauthorised access or which are at risk of ram raid or vehicle theft i.e car dealers. 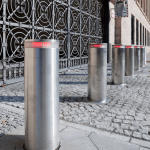 The benefits of commercial bollards from Automation & Security are the fact they protect your property from unwanted access whilst activated whilst appear unobtrusive whilst retracted. Making them a great addition to any property where security is a must but you don’t want to spoil the aesthetics of your building. 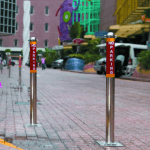 For those after static or fixed bollards we can also provide a solution for you needs. 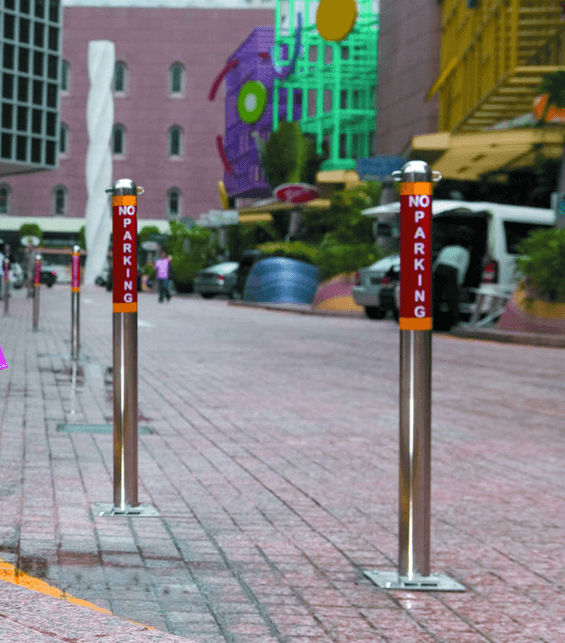 Our bollards are extremely easy to setup, so why not give us a call now. 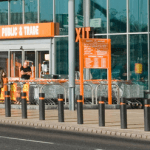 Whether it’s manually operated retractable security posts, lift-out perimeter hoops, or our specialised pedestrian posts and retract cast bollards, we can supply and fit a variety of styles and finishes. 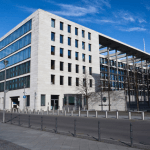 Our specialist sales will team will be able to suggest the ideal commercial bollard according your budget, needs or operating requirements. 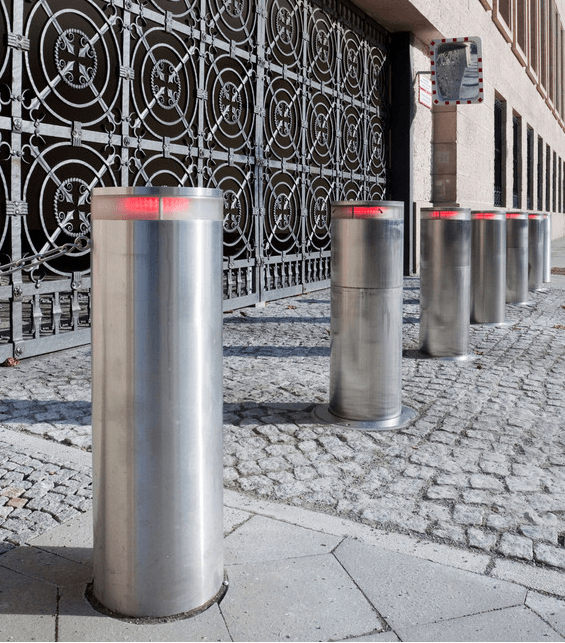 We will always recommend security bollards which are insurance recommended by all the big names, for your peace of mind and additional savings on your premiums. 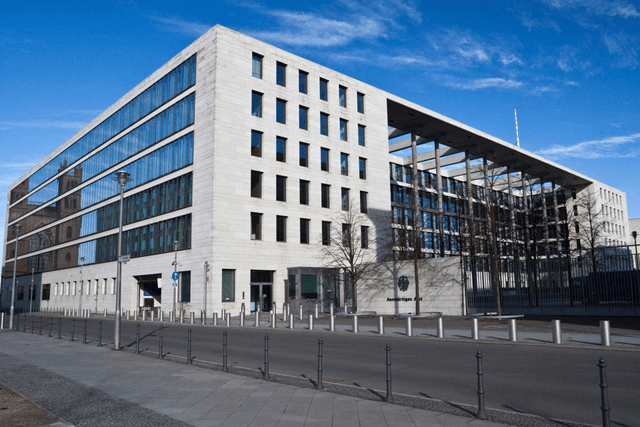 For those looking for bollards to secure building entrances such as hotels, golf clubs, exhibition centres or busy town centres we recommend our Semi auto/ Hydraulic bollards which are flexible in functionality and appearance. Our bollards come in stainless steel as standard, however for those worried about corrosion or live near the coast we can supply S316 grade as an option. We can even supply optional extras such as lights on the top of the lid for extra security and safety. 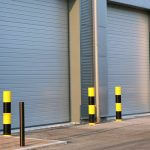 So why not call us today to discuss your commercial security bollard requirements.